Well hello. It's been a while. A million things have come before this blog and it's been longer than it should since I posted. 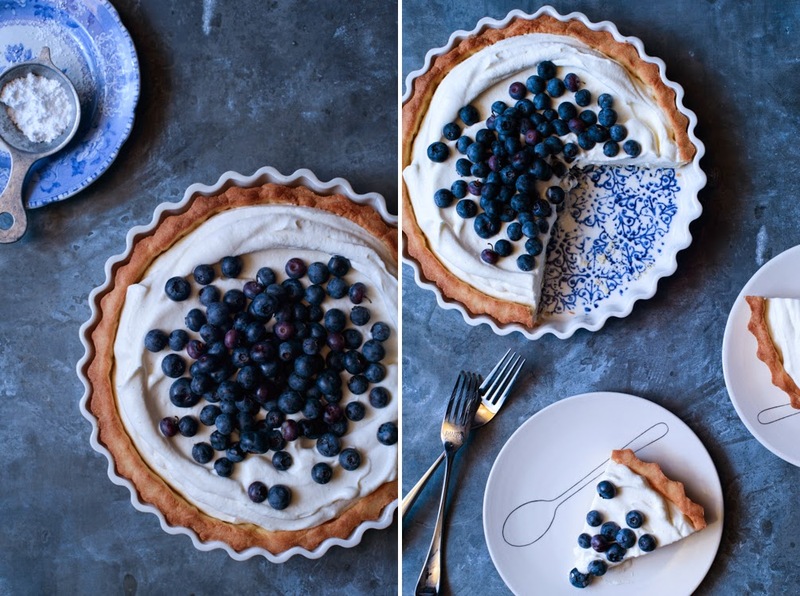 A recent shoot with stylist Molly Shuster for Eat Boutique inspired me to get back to posting, and share her delicious take on blueberry pie. That and juicy, in-season berries, a blue state of mind, and some fun prep, in process and post shots we took. 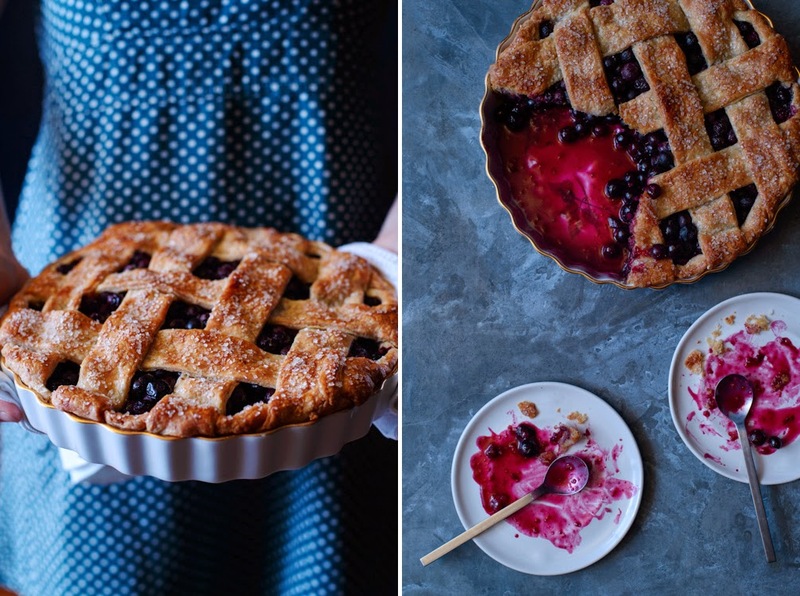 We shot her recipe, then we couldn't help but fiddle, style, re-style and shoot. The traditional pie was our jumping off point, and the other, our indulgence. Which do you like? Same set and ingredient. Two very different looks. The pretty pie plate was the jumping off point for the second version. We shot these slightly ahead of blueberry season in the north east and before our own bushes have turned. Looking back at these makes me look forward to harvesting our own. 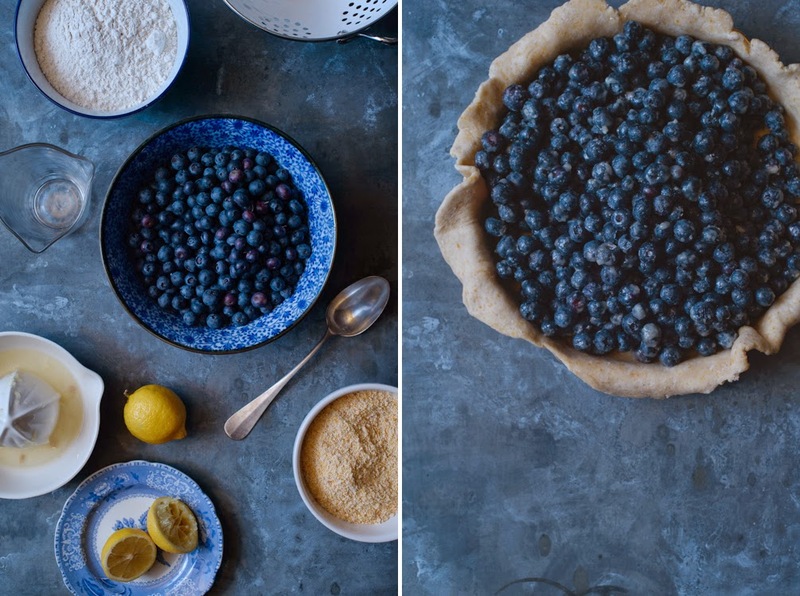 There will definitely be more blueberry pies, tarts, and tartelettes this season. Place the flour, cornmeal, salt and sugar in the bowl of a food processor and pulse to combine. Add the butter and pulse a few times until the butter has started to incorporate but small pieces of butter remain. Adding ice water 2 tablespoons at a time, pulse until the mixture resembles wet sand. Pour onto a work surface and shape into a disc (knead a bit of the dough if is a little too crumbly to shape together.) Cut the disc in half and shape each half into a disc. Wrap with plastic wrap and place in the refrigerator to chill, at least 1 hour or overnight. Place a baking sheet in the oven and preheat to 400º. On a lightly floured surface, roll out one of the discs of dough until it is about 11” in diameter. Line a 9” tart or pie plate and prick the bottom of the dough with a fork. Place in the refrigerator to chill. Meanwhile, make your filling. Combine all of the ingredients and gently toss to combine. Roll out the remaining dough until it is about 1/8” thick. Cut into 1 1/2” wide strands. 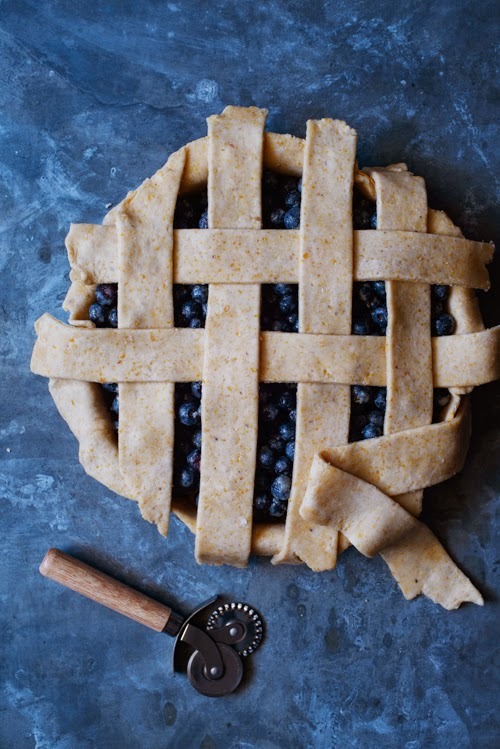 Pour the blueberry mixture into the pie plate and braid the strands decoratively on top. Tuck in edges and pinch together to make a crust. Brush with cream and sprinkle generously with sugar. Place on the baking sheet and bake for 10 minutes, then reduce the heat to 350º. Bake for another 30-35 minutes, or until the berries have begun to burst and the crust is nicely golden-brown. Let cool at least 20 minutes before serving. For more of Molly's recipes, hop on over to her blog. 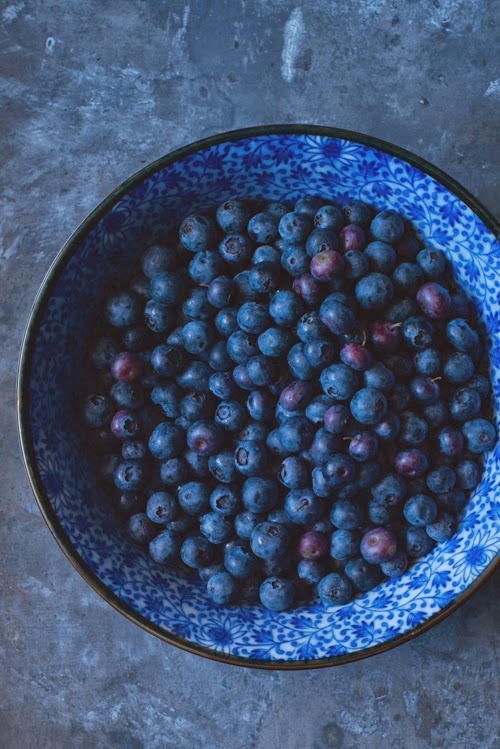 This is such a beautiful pie and blueberries are full of antioxidents! Can this be gluten free? Thank you for this recipe -- it looks amazing! Blueberries are my favoritte fruit, and I try to eat them several times a week.